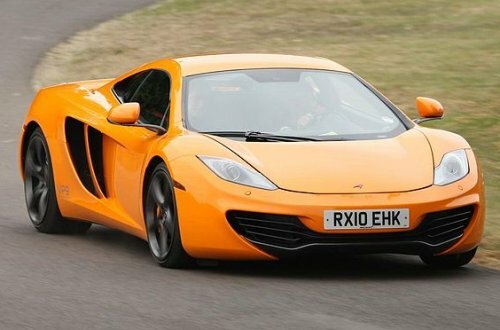 McLaren has been showing off the upcoming MP4-12C, the latest in the British automakers fabled list of supercars and today, they announced the price of the new model - $229,000. To the average American car-buyer, $229,000 is an incredible amount of money but when you consider what you are getting for that price and the cars that it is competing with in the global automotive industry – it is right on par with the competition. McLaren Automotive points out that the new MP4-12C is the only carbon fiber based supercar in that price range as many modern carbon fiber beauties like the Koenigsegg CCX that demands well into the 7-figure range. The McLaren MP4-12C is powered by a 3.8L twin-turbocharged V8 that churns out an incredible 592 horsepower and 443lb-ft of torque. This power is sent to the wheels via a 7-speed dual clutch gearbox (automatic), allowing the new McLaren supercar is rocket from 0-124mph (200kmh) in under 10 seconds and reach top speeds in excess of 200mph. Thanks to the ultra lightweight chassis, the MP4-12C is able to get back down to 0 from 124 in just 5 seconds and from 62mph, the car can come to a dead stop in around 7 car lengths. McLaren expects to begin delivering the MP4-12C this summer across its network of 35 dealerships around the world, with ten of them located in North America and two more (Philadelphia and Newport Beach, California) opening later this year.